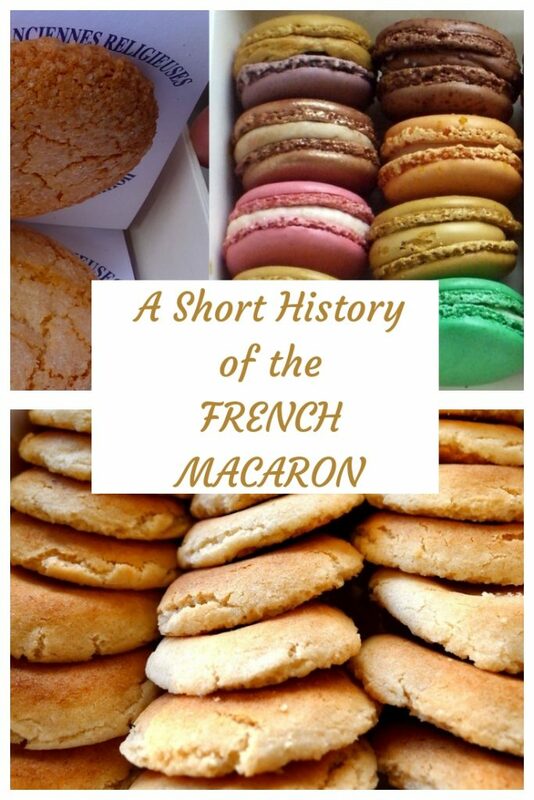 The history of French macarons is a disputed, and fascinating, one. Images: EMCD and Sucrissime blog (left to right). 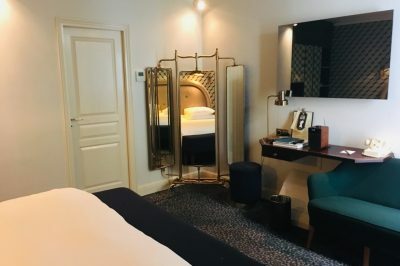 On a recent trip to the fortified medieval town of Saint-Emilion, my partner and I stayed in a lovely B&B plunged in the middle of the vineyards, outside the city walls. Our amiable host, Catherine, picked us up from the train station and shuttled us to her family-owned estate and organic winery, the Chateau Franc-Pourret. But as I’d later learn, and as the food writer and cookbook author Clotilde Dusoulier colorfully points out in her post on the macarons of Amiens, the history of French macarons is nothing if not delightfully complex– and disputed . Recipes From Around France– But Which is the Original? 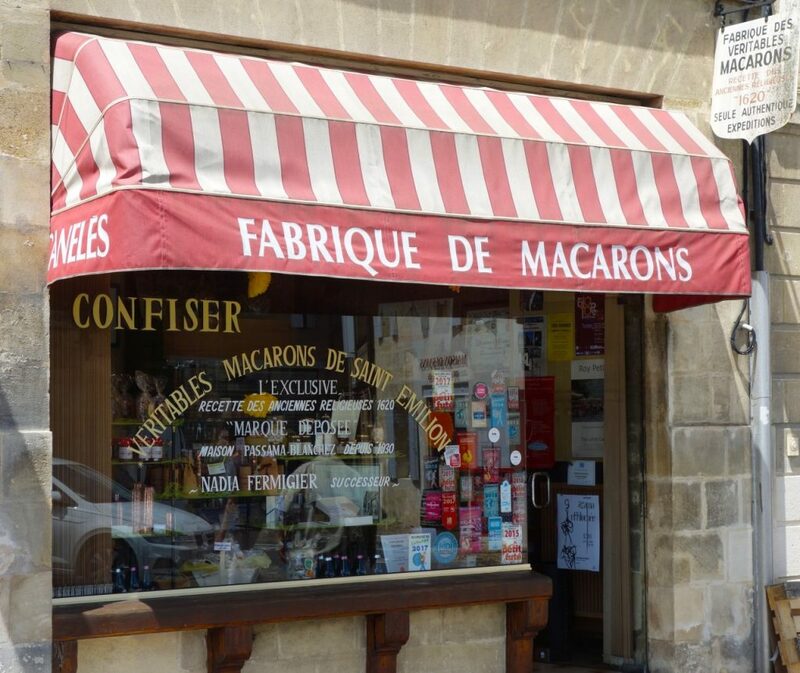 While Saint-Emilion often claims to hold the recipe for the “original” macaron, numerous versions of the airy confections are produced to this day around France. Melding the qualities of a small cake and a cookie or biscuit and invariably made with egg whites, sugar and ground almonds, each iteration of the macaron is a proud tradition in French cities such as St-Jean de Luz, Nancy, Amiens, Chartres, Boulay and Cormery. And that’s not even the whole list. All of these versions consist of a single cake or biscuit, rather than the two-pressed-together we’ve become accustomed to seeing. None, excepting “special” versions catering to modern tastes, are piped with buttercream or ganache fillings. They don’t traditionally come in pastel shades ideal for interior decorators’ catalogues, historically dubious movies by Sofia Coppola and Instagram posts. In contrast to the perfectly symmetrical, pastel-shaded macarons produced by modern empires like Ladurée, France’s traditional versions are simple and more humble in appearance. In fact, these diverse recipes from around France have far more in common with one another than they do with the globally-marketed, perfectly symmetrical patisseries made today by Ladurée and Pierre Hermé. 17th-century Ursuline nuns from St. Emilion baked slightly rounded, rough disks pressed into paper sheets and sold in a single, simple flavor. These days, at the Fabrique de Macarons run by Nadia Fermigier, each macaron is neatly pressed onto an individual square of corrugated paper, so it’s easy to tear off one or two to share or pack, without the risk of them instantly crumbling. 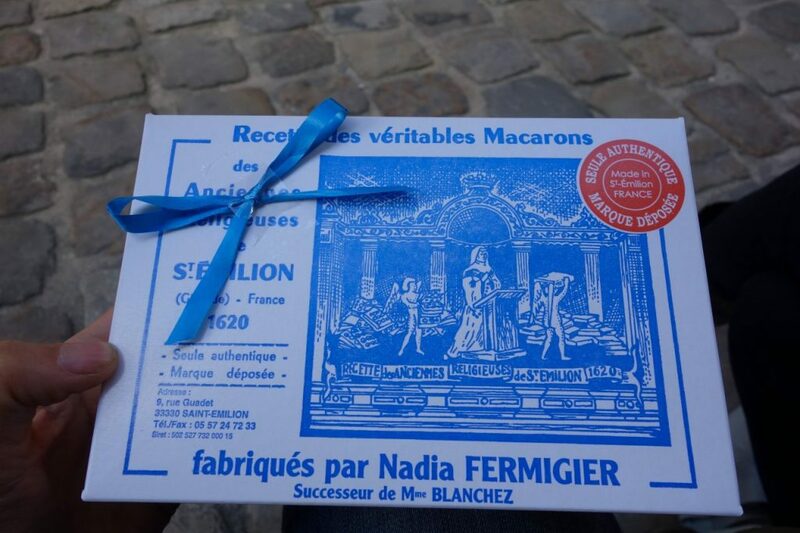 Macarons from St-Emilion and Nadia Fermigier, who claims to hold the original recipe created by Ursuline nuns in 1620. The little-known macaron of Amiens is significantly denser and heftier, with a moist, marzipan-like interior. 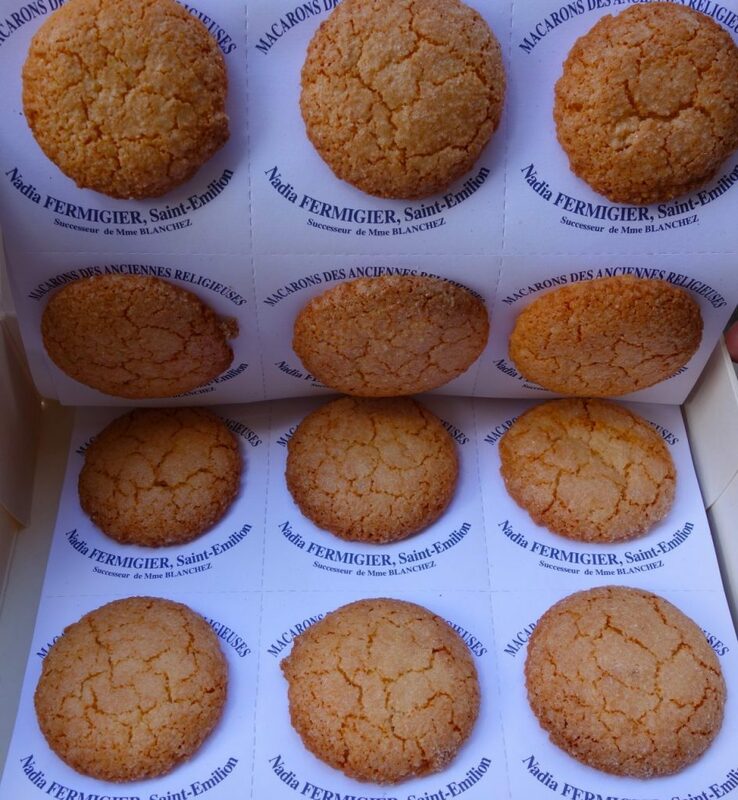 A French Basque-country version still produced in St-Jean-de-Luz is closer to its St.-Emilion cousin, but features a smoother surface and a thickness more akin to an American snickerdoodle. In many of these towns, family bakeries claim to have inherited the rights to the “original” French macaron recipe– or at least to the one from their own town. But such assertions are nearly impossible to verify, and arguably irrelevant since macarons probably originated in Italy. 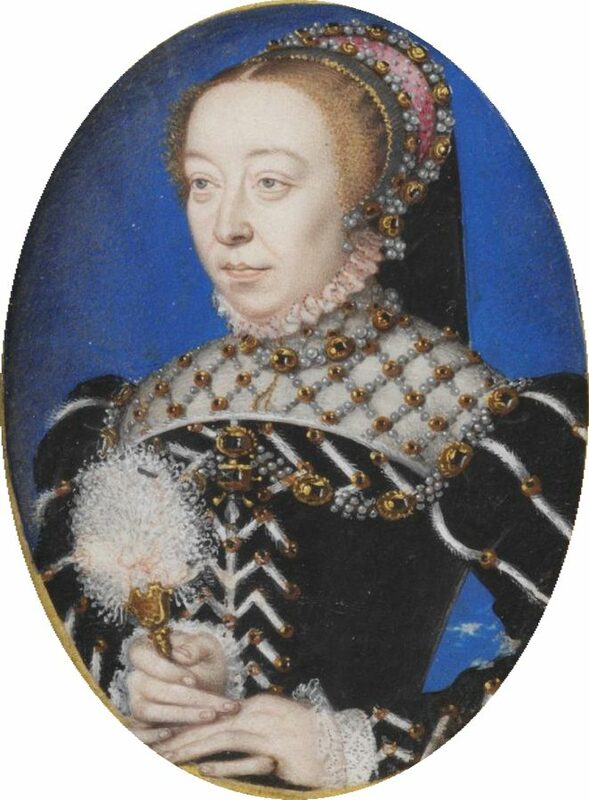 Most food historians agree that the macaron– or at least the recipe that inspired the French version of it, was likely brought to France by the Italian-born Queen Catherine de Medici during the early 16th century. 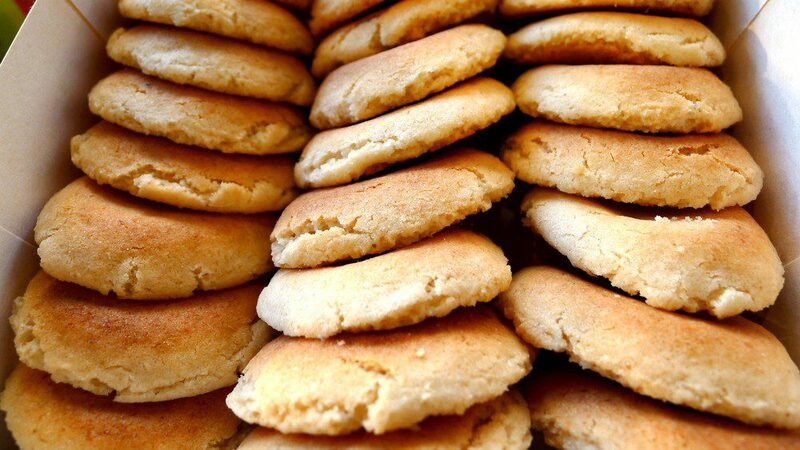 A similar Italian delicacy, maccherones, features comparable ingredients and is today referred to as an “Amaretti” biscuit. Records suggest that Catherine introduced the macaron to the royal court in France upon marrying into the family in 1533. The French writer Rabelais mentions “a round almond-flavored biscuit” in one of his non-fiction works of the mid 16th-century, and the cake/biscuit appears in accounts of royal French weddings throughout the century. Later, the royal baker Dalloyau reportedly served some version of the macaron to King Louis XVI and Marie Antoinette– lending at least a bit of credence to their appearance in Sophia Coppola’s biopic on the ill-fated monarch. Confusingly, though, certain historians suggest that an iteration of an almond, egg-white and sugar-based biscuit may have been munched on even earlier in medieval France. One account has it that a version existed as early as the 7th century, referred to, amusingly enough, as a “Monk’s belly-button”. 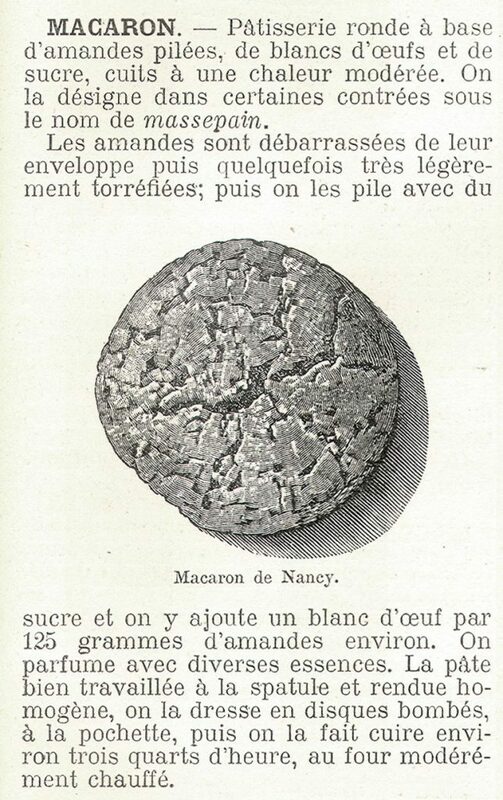 Whether this alluded to the domed shape of the traditional macaron, or something else, we may never know. And it might have never existed in the first place. 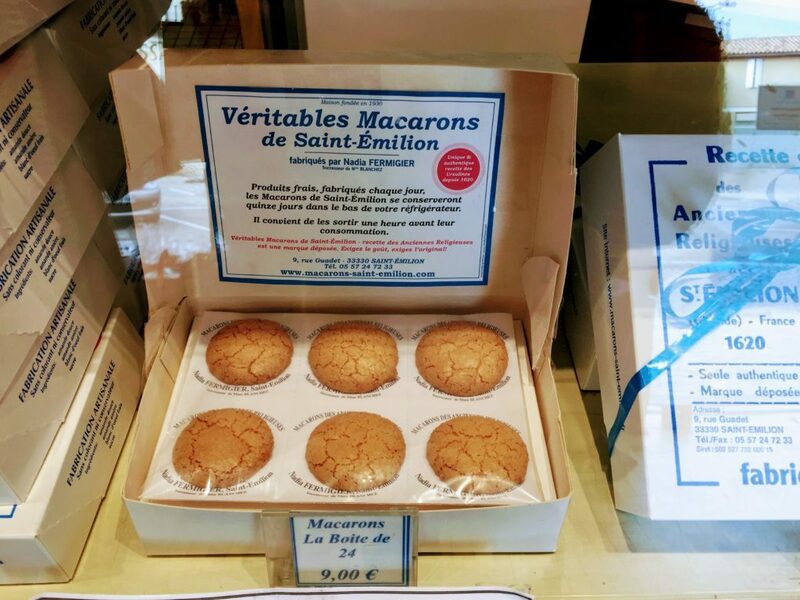 Something strikes me as I contemplate the remarkable diversity of the French macaron and its centuries-long history: only one version has won global recognition as the “default”– and it’s the most recent one. The pleasingly symmetrical pastries that have become a staple of the global luxury industry– fueled by their appearance in popular vehicles such as Gossip Girl– are a Parisian invention of the 19th century. The macarons that won the race are gleaming, efficiently marketed products of modernity and globalization. They’ve effectively crowded out traditional predecessors. Ladurée reportedly boasts revenues exceeding $1 billion, and has nearly as many retail shops in Asia and the Middle East as it does in Europe. On the more artisanal side of the coin, pastry chefs such as Pierre Hermé and Jean-Paul Hevin have reimagined the humble nunnery cakes as elaborate gourmet creations, infusing them with everything from black sesame and foie gras to fig and wasabi. Don’t get me wrong: I’m a fan of some of the better modern-day macarons, and I’m not implying that there’s anything “inauthentic” about them. What I am suggesting, though, is that they’re a product far better-suited to the modern industrial age than the humble patisseries produced in St-Emilion, Amiens or St-Jean-de-Luz. From that standpoint, their success is no surprise: with their bright colours, trendy flavours and stylish packaging, they make an ideal commodity. It was only from the 1830s that the “modern” macaron first appeared in France, ostensibly invented by a baker named Pierre Desfontaines. Jams, liqueurs and spices initially served as fillings. In the 19th century, buttercream, jam or even applesauce filled two biscuits pressed gently together. 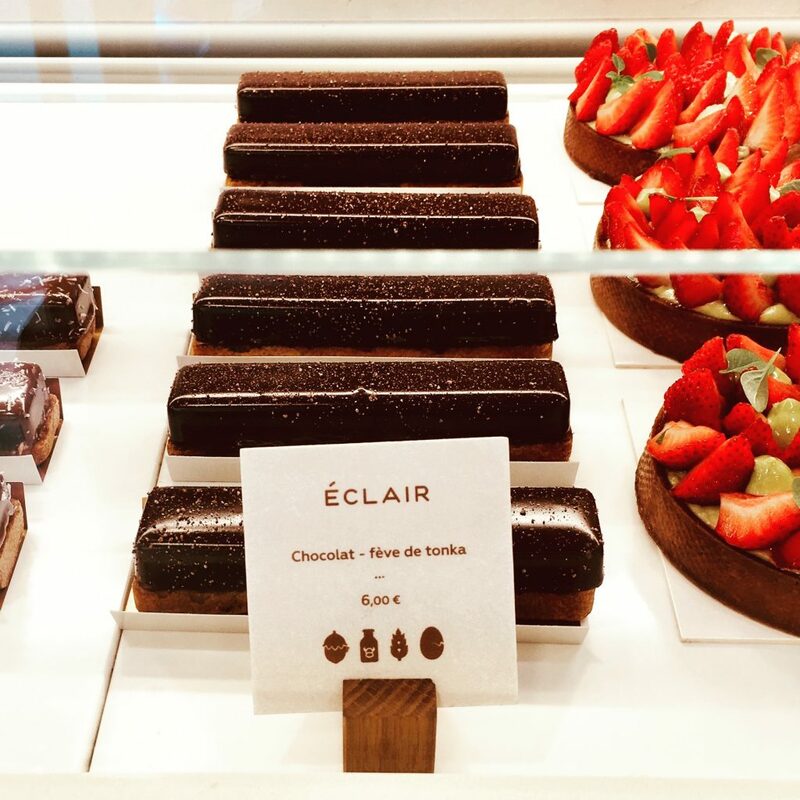 Interestingly, such versions reportedly first popped up at bakeries in Paris’ working-class Belleville district– diverging sharply from the macaron’s royal and religious associations. 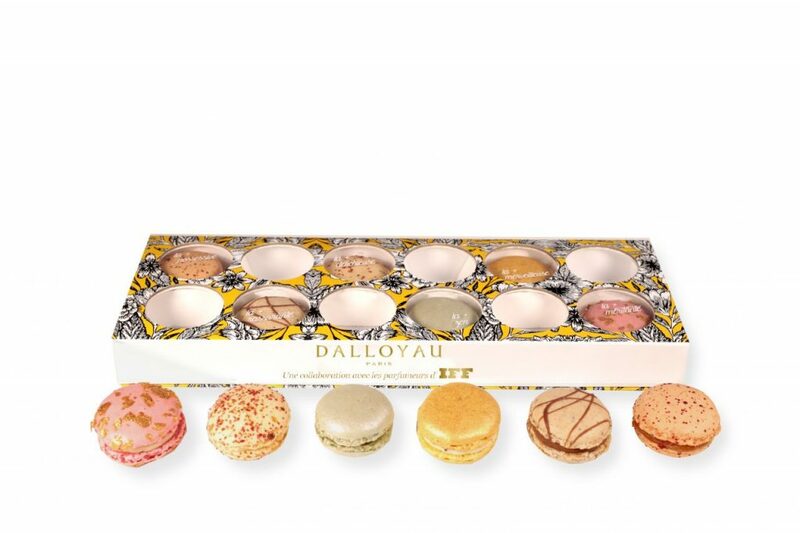 In the late 19th century, a Parisian teahouse called Pons began selling their own version of the filled macaron; the teahouse would later be renamed as Dalloyau, after the royal patissier. 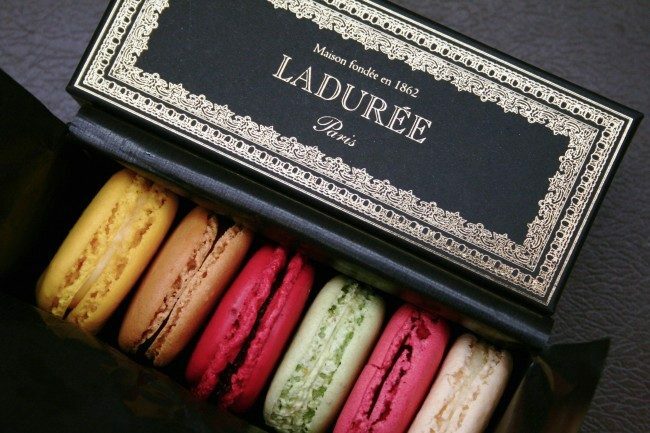 It wasn’t until 1862 that the Maison Ladurée opened its doors in Paris, with a first tearoom and bakery at 16, Rue Royale. 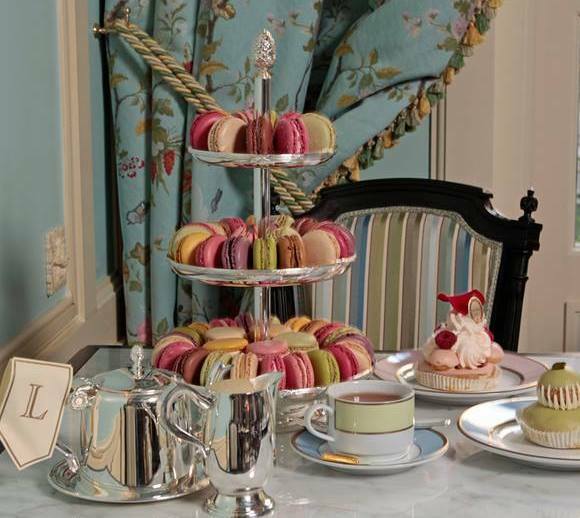 From the outset, Ladurée positioned themselves as catering to a new Parisian bourgeoisie, eager to show off their wealth by consuming a variety of luxury products. 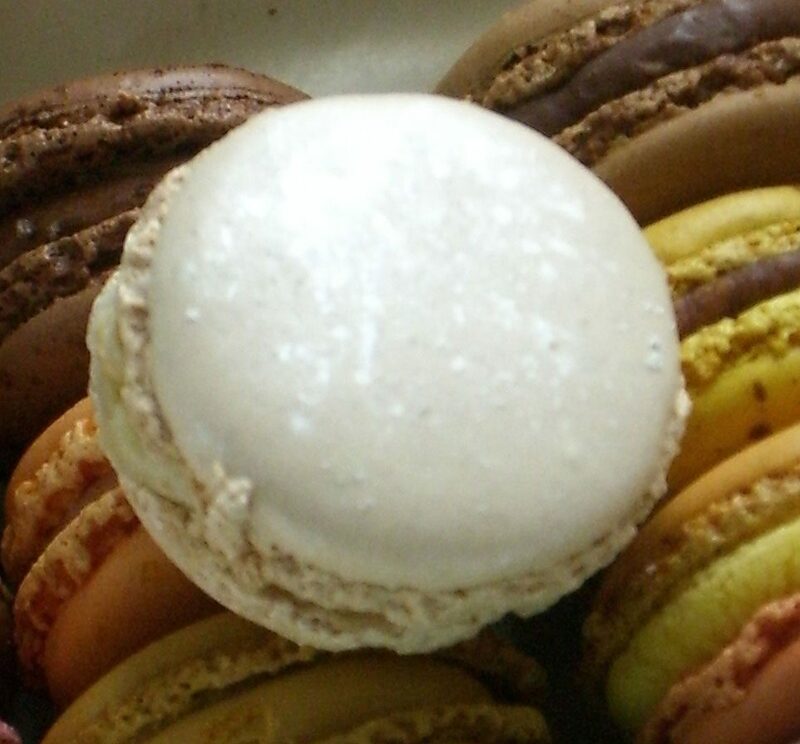 Taken with tea in opulent settings, the reinvented macaron became one such product favored by the well-to-do. 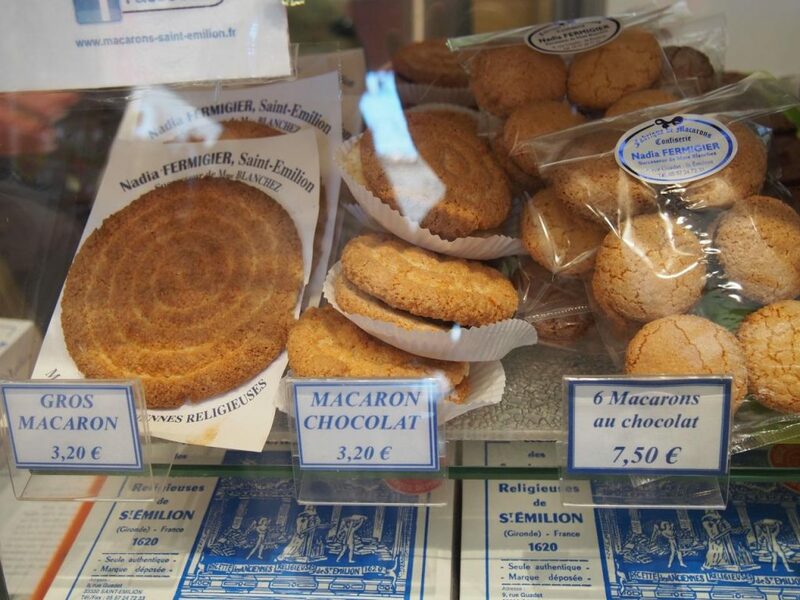 I would be remiss if I left out my own experience of the St-Emilion macaron, which is what piqued my interest in this sliver of French food history to begin with. To circle back to the trip I opened with: my partner and I more or less beelined to the Fabrique de Macarons shop that Catherine had recommended to us. While there are other purveyors in the town that also claim to hold the “original” recipe, I tend to trust local opinions on these sorts of things. The shop, interestingly, is tucked away on a rather quiet side street, away from the constant commotion of the tourist office, wine bars and other heavy-traffic attractions. We naturally wanted to try the original recipe, so bought a box of 24 to enjoy over the following few days with coffee, breakfast, or as a convenient snack. 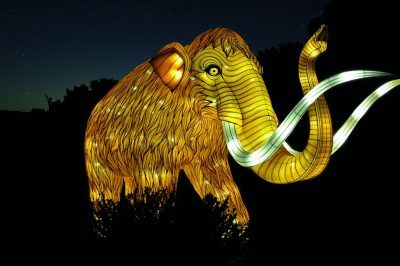 Also displayed in the windows were other varieties, including a giant traditional macaron and a chocolate version in small and large sizes. The chocolate variety pretty clearly riffs off the so-called “Parisian” macaron: it consists of two plain bases pressed together and filled with chocolate ganache. Anything chocolate calls to us almost irresistably, so we ordered one of the larger ones to share immediately in the street. Overall, I really enjoyed the St-Emilion macaron from Nadia Fermigier, and ultimately preferred the simple, traditional recipe-– especially when paired with coffee or tea. Crisp on the outside and chewy on the inside, it has a deliciously nutty almond flavor, without veering toward marzipan-level sweet. The chocolate macaron was a bit dry, I thought– perhaps owing to too much cake/biscuit and too little filling. I may be wrong, but it seemed designed almost exclusively to cater to tourists with expectations around what a macaron should look like. Still, you can’t blame traditional bakers for wanting to benefit from the global craze for the version that has, sadly, all but eclipsed the others. Hopefully, they’ll continue to proudly bake from their much-older macaron recipes– and amusingly quibble over whose came first. 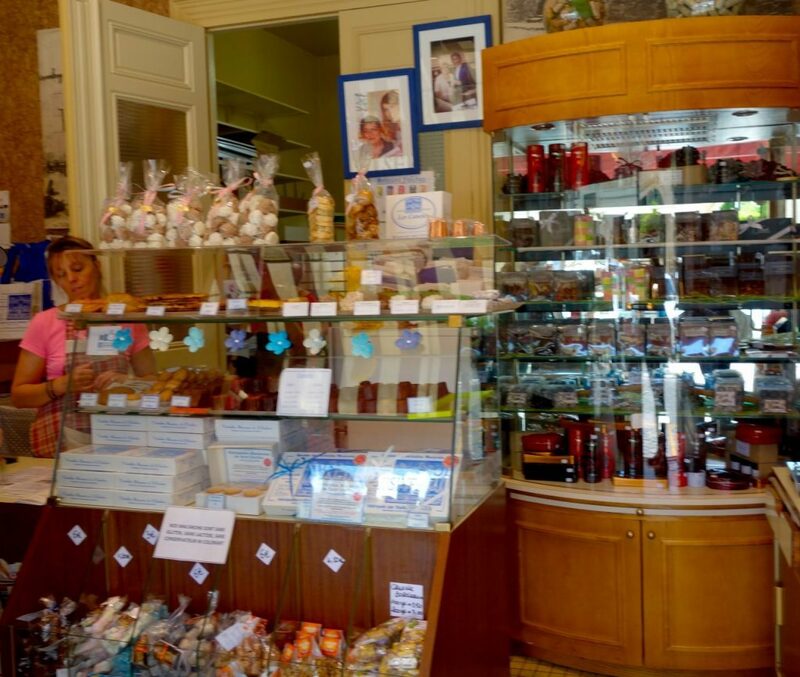 The bakery is located at 9 rue Gaudet, 33330 Saint-Emilion. 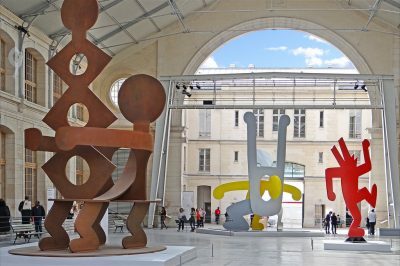 The town is easily reached by regional SNCF train from Bordeaux– a day trip I thoroughly recommend for any visit to the region. Booking a high-quality food tour of Paris or other regions in France can give you all sorts of insight– and not only of the gourmet variety. As I hope I’ve shown here, food, history and culture are all closely intertwined in France, perhaps more than in some cultures. 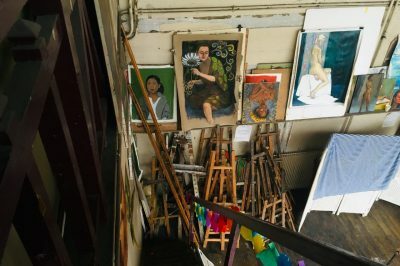 I especially like and recommend the Paris food tours from Eating Europe, and Paris by Mouth’s are reputed to be excellent. 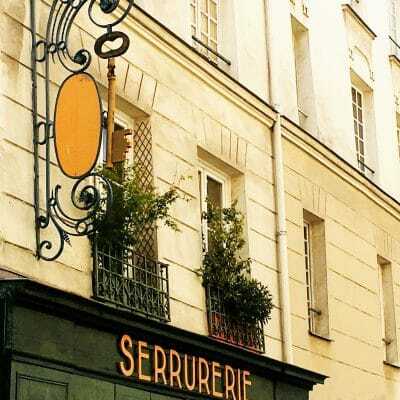 See this page at TripAdvisor for a list of well-rated food tours in France. I’m curious about how any of this relates to the “macaroon”, the dense, chewy almond scented coconut cake/biscuit eaten by many Jewish families at Passover. Any ideas? Good question! From my cursory research, Italian Jews may have embraced the maccherone (now amaretti) biscuit as an ideal treat for Passover since it contained no flour or leavening. Later, American Jews (and possibly Italians??) got creative and substituted almond flour or ground almonds with coconut. Et voilà– the American macaroon.